January 2017 - La Cava & Jacobson, P.A. Oakbrook Terrace, IL — The National Federation of Paralegal Associations, Inc. (NFPA) is pleased to announce that Nita Serrano, RP® has been elected to the position of Vice President and Director of Certification for the 2016—2018 term. Nita Serrano, RP®, is a litigation Paralegal with the Tampa law firm of LaCava & Jacobson P.A. in their general casualty department handling all aspects of cases from case inception through trial preparation and participation. Nita has been a paralegal for over 20 years, four of those years as a freelance paralegal. Nita specializes in the areas of civil litigation, insurance defense, medical malpractice, personal injury, nursing home and general negligence. She has also worked in the areas of criminal and family law. Nita earned her Associate’s Degree in Paralegal Studies from Florida Metropolitan University, and her designation as a PACE Registered Paralegal (RP®) from the National Federation of Paralegal Associations in March, 2007. Nita has been a member of the Tampa Bay Paralegal Association, Inc. (TBPA) and has served as a Second Vice President, President Elect; President; Board Advisor; and Director. Nita has also been a member of the Florida Alliance of Paralegal Associations, Inc. (“FAPA”) since 2013 and was FAPA President. Nita has been a volunteer with Wills for Heroes, Dress for Success and PACE Center for Girls, Hillsborough for several years. Nita is also a Guardian ad Litem for the Thirteenth Judicial Circuit, Tampa, FL. The Vice President and Director of Paralegal Certification will assist the President in leading NFPA and the paralegal profession by overseeing and managing the administration of the Paralegal Advanced Competency Exam (PACE), the Paralegal CORE Competency Exam (PCC Exam) and the PACE Standards Committee, by addressing issues related to paralegal certification and by being the main spokesperson regarding paralegal certification. NFPA is a non-profit professional organization representing more than 8,000 paralegals and is headquartered in Oakbrook Terrace, Illinois. NFPA’s Core Purpose is the advancement of the paralegal profession. 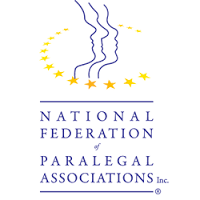 NFPA promotes a global presence for the paralegal profession and leadership in the legal community.